Search all Briar Hill real estate for sale below! The community of Hounsfield Heights/Briar Hill is developed on an escarpment to offer magnificent views of Calgary’s skyline and the Rocky Mountains towards the west. Average house prices in the area are set well over the million dollar mark and older style homes commonly get purchased by buyers wanting to demolish them to build a new luxurious style property, similar to what others had done in the past. The community features mostly single family and a good number of semi-detached homes, built in the 1950s through 1970s. Located in the North Hill Shopping Centre, west of 10th Street NW, Briar Hill homes sit on an escarpment overlooking downtown to the south, and the Rocky Mountains to the west. Calgary's real estate always seems to have something for everyone – no matter what age, background, and kind of employment they have. When it comes to Briar Hill, the colourfull neighbourhood has managed to earn the admiration, respect, and love of people from a wide variety of different backgrounds and lifestyles. Known for being a very open, friendly, and fun community to live in, Briar Hill is an excellent choice for those who want to experience all the fun and trendiness of Calgary. Originally subdivided in 1906, Briar Hill is one of the older parts of Calgary. For homeowners in this area, this is actually very good news. 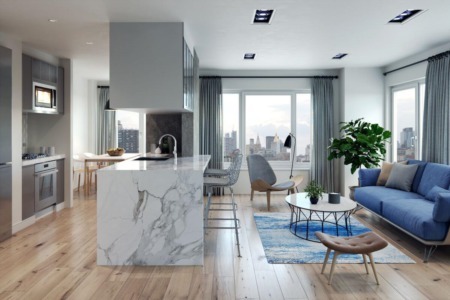 This means that you can expect to find a wide variety of different homes, ranging from old-school single-family homes to stately apartments, to newer townhouses and condominiums. Despite this being one of the more urban sections of Calgary, residents get to experience the peace and quiet that they would expect in a suburban environment. In terms of amenities, Briar Hill is a great place to be – especially if you love to take part in a wide array of sports. This expansive neighbourhood offers people a very active, very well-kept community centre that offers a variety of different classes and activities for people of all ages. Some of the more popular activities include summer basketball, senior's badminton, indoor soccer, and women's self-defence. This area also has a very large skating rink for those who want to practice their hockey skills. People who love to hike and bike in nature get to enjoy some of the local parks in the area, including Wolf Hill Park and the Bow River. Several retail shopping centres and high-quality restaurants are also in the area, which means that you will never have to worry about things being too far away for convenience's sake. Many real estate agents believe that Briar Hill is a commuter's dream come true, and they wouldn't be too far off in that assumption. Briar Hill is an excellent place for those who want to be near to some of Calgary's biggest institutions. The neighbourhood's convenient location makes it an ideal spot for those who want to be able to commute to SAIT, the University of Calgary, the Jubilee, and Foothills Athletic Park. Other nearby roadways include the TransCanada Highway and the Crowchild Trail. The area's rich public transportation network also makes it easy to get from point A to point B in a pinch – whether you have a car or not.